We will be showing you 15 Fascinating Dining Room Tables for Small Spaces which is indeed a fascinating list to check on. Having a small dining area doesn’t mean you really have to pick a smaller table, the technique is usually choosing the right width and length with the little space that you have. Below are the examples that we have collated for you guys, check it out! Matching cushions for the L-shaped chair and the individual ones; along with the overhead light define and unite the space. 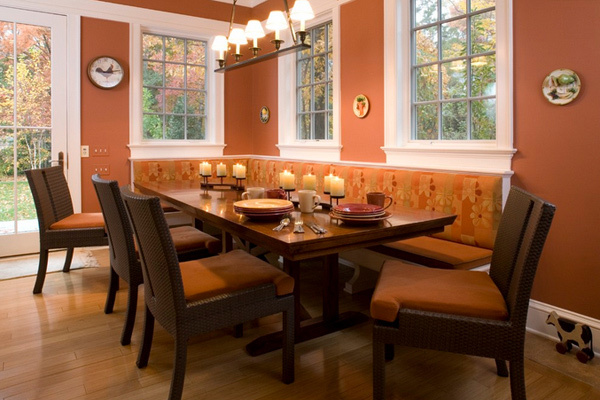 Note the color palette for this dining room. De Sousa significantly expanded the space, opening the main floor into a gallery-like foyer, stairway, dining room, living room and kitchen. 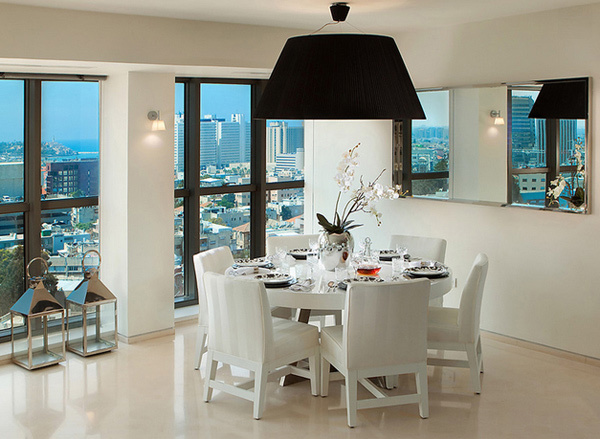 The dining room is just one of the many rooms that open up onto the home’s brilliant view. This large-scale black shade above a white dining room is all about drama, and lots of it. 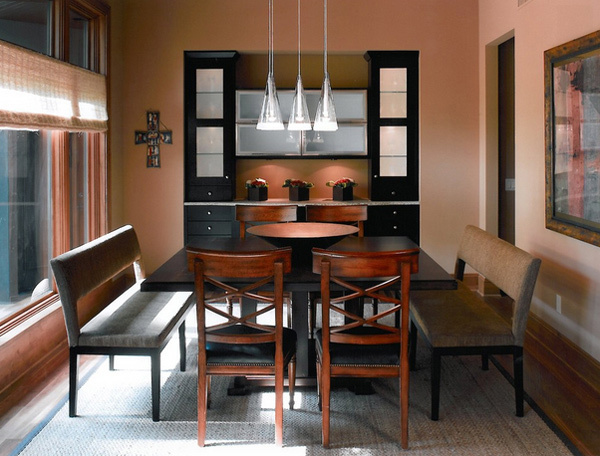 The fixture not only provides adequate light over the table, but also plays a role in defining that area as the dining area. 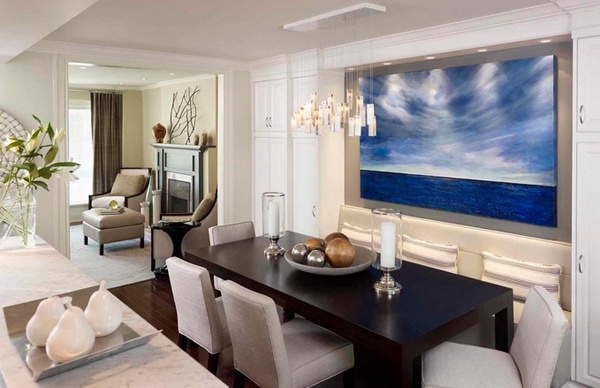 Christine’s artwork sets the decorating tone in all the rooms. 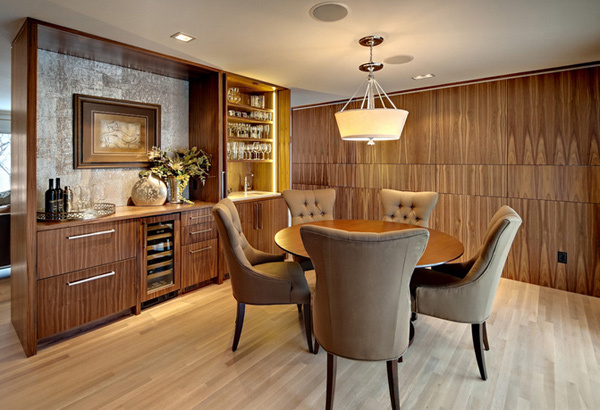 The entire home, including this dining room, has a European contemporary feel that is very clean and minimal. This transitional dining room is clean lined and uncluttered, but upholstered chairs, artwork, a round table, exposed ceiling beams and a mix of wood finishes all contribute to the coziness. With a little space but eight family members, the designer for this home was able to put together a lovely dining set – it’s square with enough seating for the entire family. We love the storage this dining space has – it is a combination of a pantry for your china, your wines and enough space for keeping other things on the sides of the wine cellar. All the wood in this space sure is stunning paired with the black seating. This clever kitchenette definitely falls in the convenience camp. A beautiful second kitchen, it’s adjacent to the dining room and features a refrigerator and freezer drawer; coffee and other drinks can be served easily from it. The sink and bar area could have been fully concealed behind beautiful walnut doors too. The sliding barn doors are plain stunning! It was painted black which matched the seating and even the lighting by the dining room set! The browns and the whites scattered in the room made all the colors pop! Clean lines and a light, fresh palette give this 1930’s home an open and modern vibe. 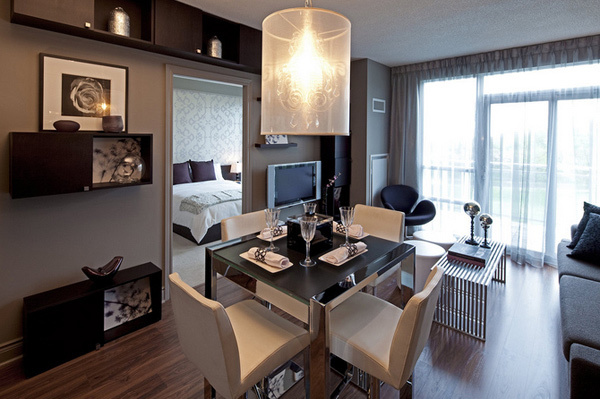 Careful planning of every element is the key to maximizing style and function. Peter Sellar was able to capture the entire space from the dining to the living and even the bedroom is actually seen! 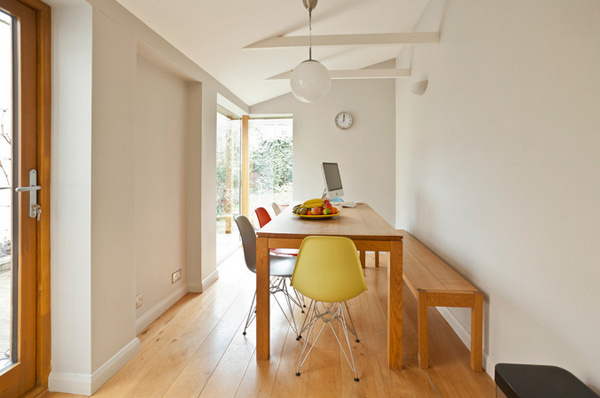 A four-seater dining sit in the middle of the room – great materials were chosen matched with a stunning pendant light! 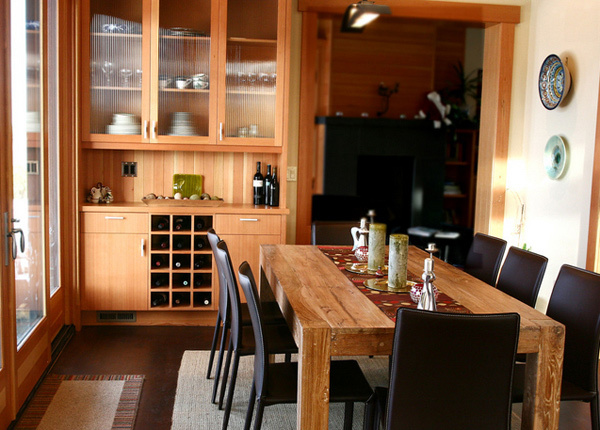 Matching low height chaise and sofa helps keep the floor plan open, while a custom dining table was designed to accommodate large dinner parties. 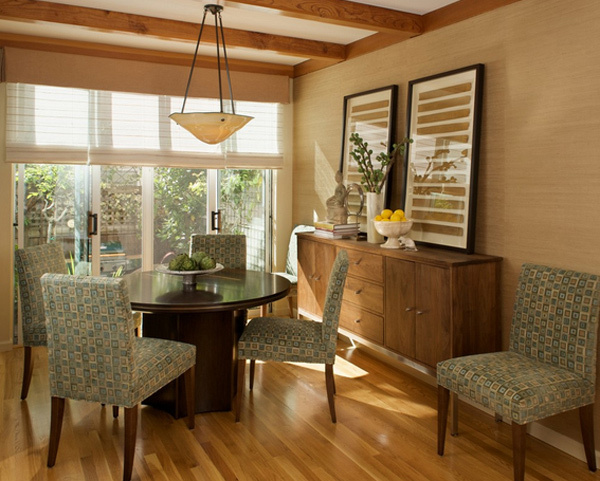 The dining room chairs were selected in micro fiber for kid-friendly clean-up. 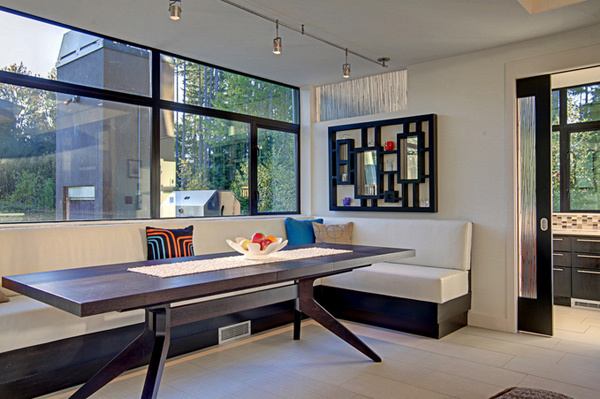 A modern trestle table with banquette seating fits well in this contemporary space. 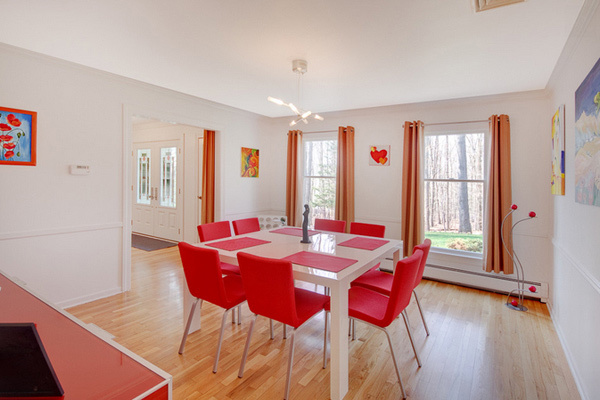 This is a funky remodel of the existing kitchen to create a light and airy dining area for this South Bristol home. This is like a mix of mid-century modern with old interiors. The furniture is just lovely! 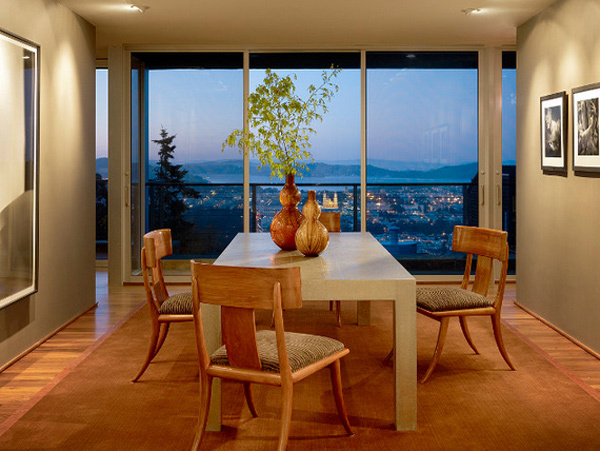 The pieces put together makes this modern dining room look that it’s from a magazine! It was one stunning list to end the week with. The 15 Fascinating Dining Room Tables for Small Spaces are a sure fire hit for our friends that live in apartments and pads and surely the photos above were great inspiration anytime of the day. We have another list that might just get your attention, so do check the appealing small dining room ideas we have created for you and tell us what you think! Have a great weekend guys! The title Pure and Simple doesn’t match on the image because the sets are elegant it’s not simple,especially the chairs! Thanks for giving me an idea for my condo. I like the North Berkeley dining room,good ambiance. Toronto dining room is the most well designed table set with great designs of furniture. 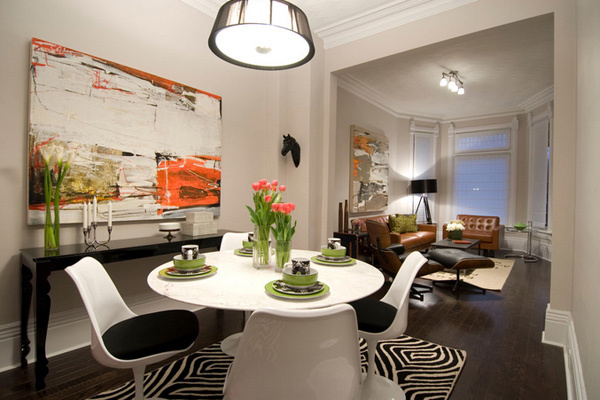 I love the color for New York dining room,it’s very cute and stunning.